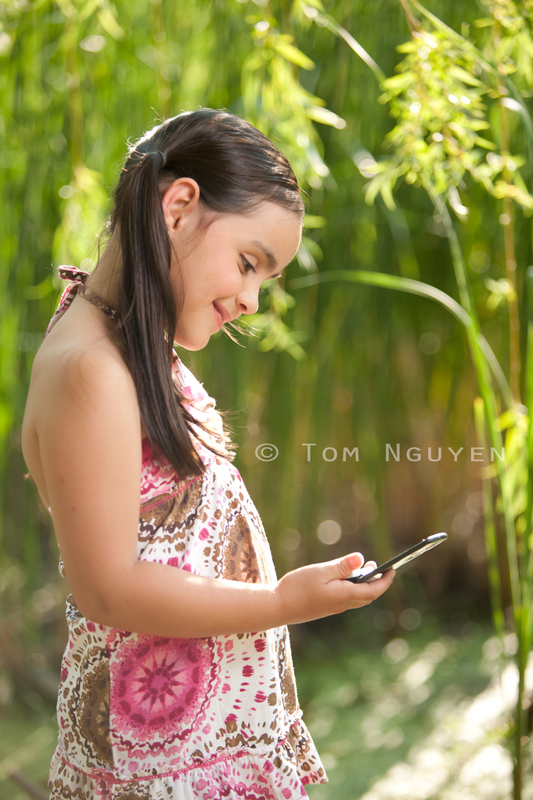 Last summer I had the opportunity to shoot with a little girl named Angelica for the local talent agency. I forget exactly, but I believe she was 6 years old. Normally I don't shoot kids (of cour$e there i$ alway$ a way to get me to), and they generally are more difficult to work with since their attention spans and patience are thin. Angelica, however, was different; she was already in dance competition, so she had to have some sort of confidence and stage presence. 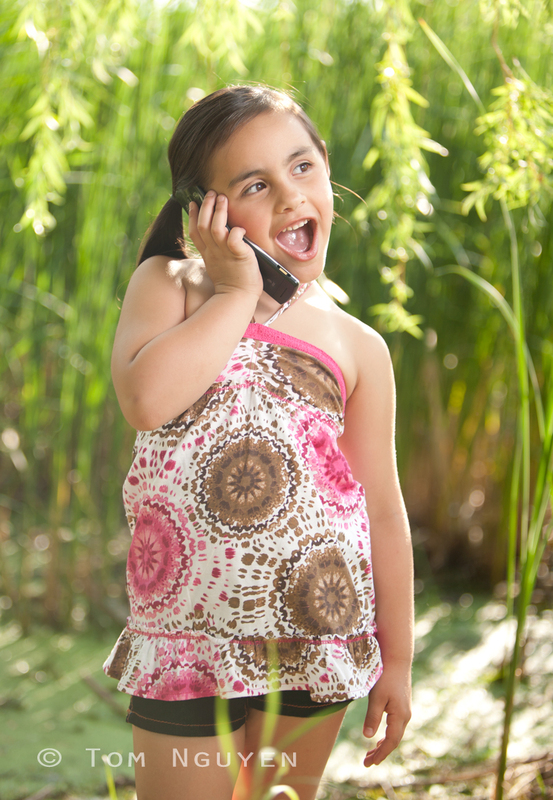 This would prove useful for being in front of my camera for her portfolio shoot. So during this shoot I decided to walk with Angelica, her mother Melissa, and my assistant Alexis to this particular location. Without further rambling, let's get to the meat and potatoes of how I lit this. I'm a strobist at heart, and as you can see, I packed as such. This was late afternoon, and the sun was somewhat low, but I wouldn't say it was near sunset. This was important because when the late afternoon sun is lower, there's a touch more softness and golden hue that can affect your background. In this case, it gave the grassy background and hanging willows a more vibrant, glowy look. Contrast that with the same background photo in my port mentioned above, which was shot in the middle of the day with the sun at around high noon. Angelica wasn't definitely not shy in front of the camera! So the first thing I did was place Angelica in the shade under the willow tree. Her back was to the bright sun for two reasons: (1) it gave her a nice natural edge light (whenever possible, I always use the sun as a light source--it cuts down my need to bring an extra light! ), and (2) she won't squint for my camera. I set my camera to the highest reliable sync speed as a base (1/200 second), and started at f/2.8 for my lens (to blur the background). Looks good right off the bat, so I went with it for the ambient exposure and effect. Since her front is in shadow, all I'd have to do was fill it in with the speed light. 1/4 power though my trusty 43-inch shoot-thru umbrella (my workhorse all-arounder portable light modifier) power did the trick. Alexis held the umbrella literally just a touch to the right of lens axis over my right shoulder. In fact, the edge of the umbrella was just about touching me; it wasn't very high. I figured I was less than 10 feet from Angelica, actually sitting down. Although I have a light meter, I am reluctant to carry it around and barely use it unless I'm doing white seamless background photos. Focal length varied from 70mm to 125mm. So it was a simple one-light setup that contributed to a 2-light source shot (if you include the sun)--easy and effective enough for even the cheapest of beginning lighting gear for those just starting to dabble into flash photography. Thanks to Angelica and her mom Melissa. She knew how to ham it up for the camera and made my job easy!